Scars are inevitable following tummy tuck surgery but will often fade over time. Different tummy tuck procedures produce different types of scars. Numerous factors can affect how tummy tuck scars form, heal, and fade. There are steps you and your surgeon can take to speed the healing process. The truth is that scarring is an inevitable part of tummy tuck surgery, and the scars will never go away completely. They generally fade, however, and there are things you can do to help. We spoke with several experts to learn more about the types of scars produced by tummy tuck surgery, how the scars fade over time, and what you and your surgeon can do to help minimize their appearance. Depending on the technique(s) used, incisions made, and individual healing factors, tummy tuck scars in several areas—including the pelvic region, around the belly button, and in the lower abdominal area—may be visible. Regardless of the type of tummy tuck you have (full, mini, etc. ), you will be left with a scar running horizontally across the lower abdomen between the hips, a couple of inches beneath the belly button. The length of the scar varies from a couple of inches to the entire length of the abdomen, sometimes extending up and over the hips to the back. Some tummy tuck procedures produce a scar around the belly button. This scar will be visible at first but will often fade over time and eventually become unnoticeable. This is not always the case, though, as some scars remain visible even when fully healed. Certain patients require an incision extending down from the belly button to the horizontal incision. Although it is rare, some individuals have a tendency to produce irregular scars. The type of scar(s) you end up with after your tummy tuck will depend on the type of tummy tuck you have. This is because different abdominoplasty techniques involve different incisions, and therefore produce different scars. A full tummy tuck involves a long scar extending from hip to hip, possibly including the vertical fleur-de-lis component and a scar around the belly button. Many patients are under the false impression that a mini tummy tuck always involves a small incision, but this is generally not the case, according to Gregory A. Buford, MD, a board-certified plastic surgeon in Englewood, Colorado. “The amount of skin removed will dictate how long the scars need to be, and the only big difference is the absence of an umbilical scar with the mini-tummy tuck,” he says. However, the procedure does not produce a scar around the belly button. A reverse tummy tuck produces scars near the top of the abdomen and under the breasts. It is difficult to generalize about scarring because individual factors can affect how scars form and how fast they heal and fade, including age, genetics, smoking, infection, tension on the wound, the size and depth of the wound, and the general health of the patient. Scars can take years to fade. This whole process usually takes about one to two years. After three months, the wounds should be healed, says Chen, and the scars should no longer have scabs on them. The patient should also be able to stand up straight. Buford adds that, depending on the amount of liposuction performed during the procedure, there may be some fullness to the treated areas, but this will gradually resolve over the next few months. At six months, the scars should be fading and the patient’s abdominal area should feel less tight, according to Chen. “At one year, most patients will see the long-term result of their tummy tuck, with scars being faded or at least dramatically improved compared with the early months of healing,” says Buford. » Read more on tummy tuck recovery tips recommended by plastic surgeons. Some level of scarring from tummy tuck is unavoidable. However, there are steps you and your surgeon can take to reduce scarring and speed the healing and fading process. Silicone scar treatment is the single most helpful thing you can do to reduce scarring, or at least its appearance, says Jensen. Various topicals have been shown to be effective for optimizing the long-term appearance of scars, according to Buford, and Chen adds that scars heal more quickly with a healthy diet and lifestyle. There are also steps your surgeon can take. To help reduce overall skin tension, Buford performs a layered complex closure of the incision line. He also uses topical scar-optimizing compounds immediately after surgery and up to the six-month mark. Ultimately, the formation and appearance of your tummy tuck scars will depend on multiple factors, from genetics to actions taken by both you and your surgeon. If you want to do everything that you can to minimize scarring after a tummy tuck, heed all of your surgeon’s post-surgery recovery advice and carefully monitor your healing process. Once the first stage of the recovery is over and the incision is free of scabs, it’s a good time to start an at-home treatment to further reduce scarring. Silicone-based scar treatments are among your best options for at-home treatment. If you are allergic to silicone or would like to tackle your scarring issue with a number of products, several non-silicone alternatives can also help. While these options can’t get rid of a scar completely, they can make the appearance of scars much less noticeable. 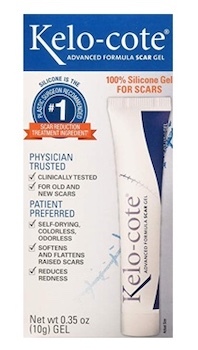 The #1 plastic surgeon-recommended brand for scar treatment, it’s hard to go wrong with a Kelo-Cote. This 100% silicone scar gel is clinically shown to improve the look of all types of scars, including raised and old scars. What really makes this gel stand out though, is that its silicone-based formula forms a protective yet flexible barrier over the affected area. This allows for a fast and comfortable healing process. 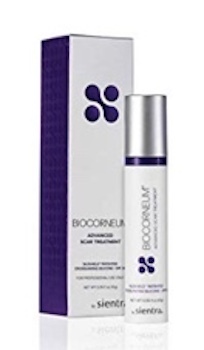 One of the most important elements of at-home scar care is to avoid sun exposure, so it’s worth noting that BioCorneum’s scar treatment is one of the only products of its kind that offers SPF protection. It is an FDA-approved silicone treatment that works to minimize and prevent scarring from cosmetic and surgical procedures, as well as other wounds. It needs to be applied twice a day and is effective on old and new scars. If you want to help erase your scars, this treatment option is simply one of the best available. 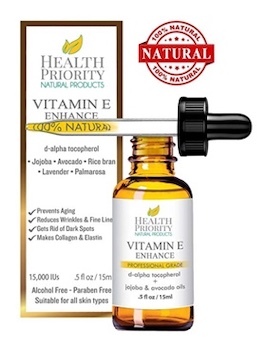 For a completely natural scar treatment, there’s nothing better than vitamin E. This treatment from Health Priority uses 100% pure organic vitamin E oil to repair surgical scars and even stretch marks. In addition to natural vitamin E oil, it is also infused with organic avocado oil, jojoba oil, and lavender oil. This treatment is non-GMO, cruelty-free, and doesn’t use cheap fillers like the soybean oil often found in other vitamin E products. If you want to heal your scars without synthetics, this all-natural oil is your best bet.